Not appropriate to eat in front of our daughter. That said, I present to you this cautionary tale of a food item I picked up on a recent trip Oscar Mayer’s Lunchables Mini Burgers meal. The package includes – 2 grilled burgers made with 100% beef, Kraft pasteurized prepared American cheese product, buns, lunchables ketchup with starch added and lunchables mustard…plus a mini Buttterfinger Crisp and a Capri Sun Roarin Waters Wild Cherry Flavored water beverage…phew. With a list of well over 100 total ingredients, the armachair economist in me likes to think I got a “lot for my money” with these babies…just $2.50 on sale at the local Genuardi’s Supermarket. As I’ve stated before on this blog, I understand that burgers are rarely considered a healthful dining option, so I won’t stand on the soapbox too much, except to say that feeding these to your kids is just plain evil (and that is before I even describe the taste). Ahhh, taste. You are curious, aren’t you? I was (hence the purchase). With taste no-doubt created in a laboratory (the 100% burgers also include “Beef Flavor” as an ingredient, which almost seems redundant), you are getting hints of that fast food burger taste that we’ve come to know and love. But like with many food products, the taste goes too far. 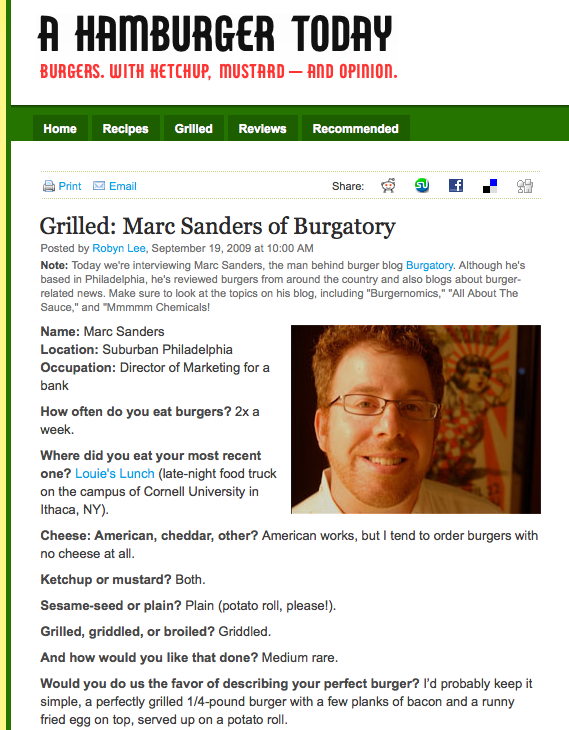 The taste is synthetic and the grille marks etched onto the burger (“cooked beef patties browned with carmel color”) screws with your head because the taste is like a grilled McDonalds burger, but the grille marks scream Burger King. I’m not sure too many kids are getting caught up in this conundrum, but I’ve got a few decades of burger eating on them. I tried to experience the meal like your average elementary school kid would without the aid of a microwave, but the bun was way too hard and the patty too spongey, so I zapped it for 30 seconds and it softened up enough to slide down my throat with only minimal help from the Roarin Waters (which was awesome!!!) and American Cheese “Product” (amazingly the cheese didn’t melt at all after the trip through the micro). 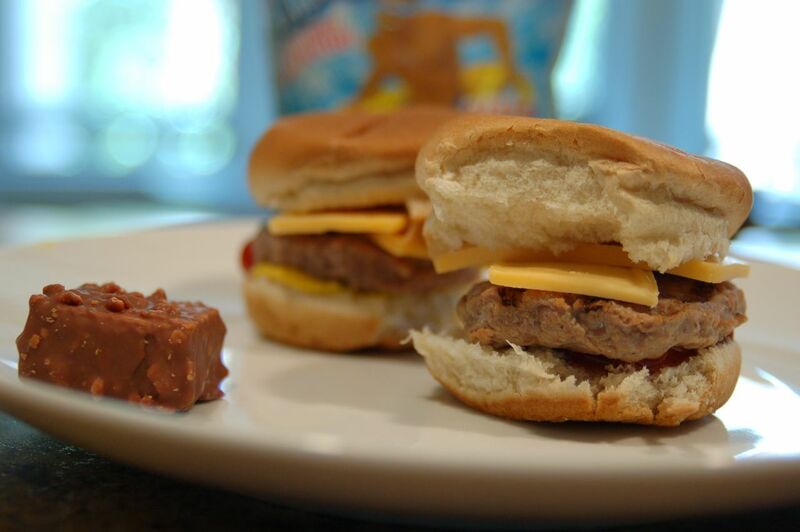 As a convenience food, the Lunchables Mini Burgers provide the user with enough of the burger experience to quell any immediate desire to eat another burger (there is a compliment buried in there somewhere, I promise), so if stranded on a desert island this might just do the trick. But with over 13,000 McDonalds in the US, there just isn’t any reason to subject yourself to these. What are you talking about, these are delicious! I miss them! And roaring waters needs dumped down the drain along with anything else with sucralose. Ew.